A sweeping history of cities through the millennia--from Mesopotamia to Manhattan--and how they have propelled Homo sapiens to dominance. Six thousand years ago, there were no cities on the planet. Today, more than half of the world's population lives in urban areas, and that number is growing. 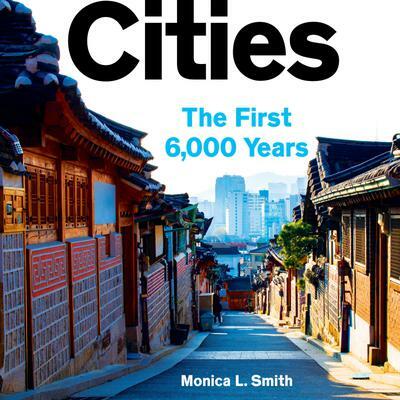 Weaving together archeology, history, and contemporary observations, Monica Smith explains the rise of the first urban developments and their connection to our own. She takes readers on a journey through the ancient world of Tell Brak in modern-day Syria; Teotihuacan and Tenochtitlan in Mexico; her own digs in India; as well as the more well-known Pompeii, Rome, and Athens. Along the way, she presents the unique properties that made cities singularly responsible for the flowering of humankind: the development of networked infrastructure, the rise of an entrepreneurial middle class, and the culture of consumption that results in everything from take-out food to the tell-tale secrets of trash. Cities is an impassioned and learned account full of fascinating details of daily life in ancient urban centers, using archaeological perspectives to show that the aspects of cities we find most irresistible (and the most annoying) have been with us since the very beginnings of urbanism itself. She also proves the rise of cities was hardly inevitable, yet it was crucial to the eventual global dominance of our species--and that cities are here to stay. You pick the duration—1, 3, 6, or 12 months—they pick the audiobooks. Buying gifts from DIESEL, A Bookstore has never been so easy.